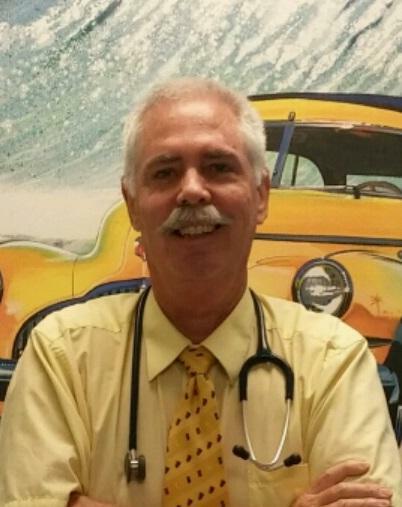 Dr Paul Leadem Is an experienced and efficient Pediatrician . He is the father of four and grandfather of 4 . He has been in private practice with his wife for the last 12 years in Saint Augustine , Florida where he has been on staff at Flagler Hospital as well. He and Shirley are interested in either selling their practice and staying on in an employed position, or selling the practice and taking an opportunity elsewhere . Dr Leadem has a special inteerest in Evaluating, Diagnosing, and Treating the children in the community with ADHD. He is fully credentially with almost all Florida Private and Medicaid payors. He is Permanently Board Certified by the American Board of Pediatrics. Pediatrician in Private practice. On Staff at Flagler Hospital, Active Pediatric privileges. Attending Deliveries up until 3 years ago when In House Neonatology group took over. Only Pediatric group in town evaluating and Managing ADHD patients. Pediatrician. Our Family moved to Florida due to Health issues of my daughter and Lifestyle considerations. Employed for a time with this Group before we purchased our own Practice in Saint Augustine. Pediatrician. Duties were the same as with Pediatric Specialists. Our practice was purchased by Children's Hospital of the King's Daughter's in Norfolk Va and I stayed on for a year. Peditrician. Large multi office group considered the Premier Pediatric Group in Norfolk and Chesapeake , Virginia. Innovation with EHR (first Peds group in Virginia) I served as Chairman of the Pediatric Dept. at Chesapeake General Hospital 1993 1nd 1994. Provided Inpatient and Outpatient Care. Partner in a large Pediatric Group in Norfolk and Chesapeake, Va.
Inpatient and outpatient General Pediatrics. Level 2 Nursery.